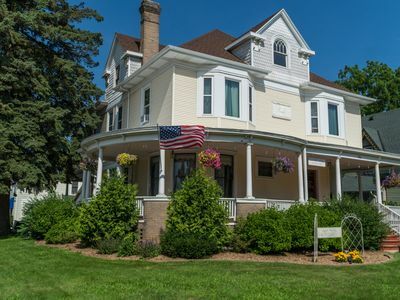 Enjoy an Historic Country Farmhouse just 30 minutes from Wisconsin Dells! This beautifully restored historic landmark sits on 36 beautiful acres and is near many attractions to make your stay more than wonderful. 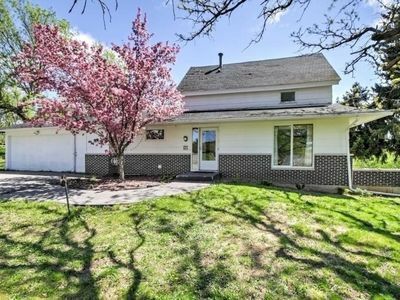 This house and land will be your regular place for you and your family. 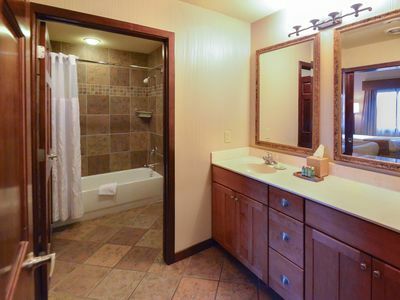 A master suite, with two additional upstairs bedrooms, and an apartment in the basement. 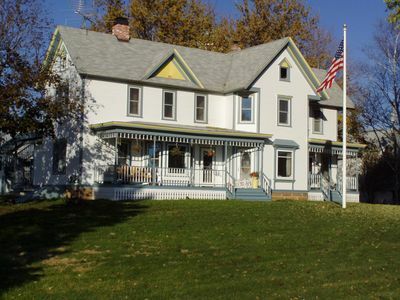 There is a School house right off the back which includes couches and flat screen TV. Satallite internet, DirecTV, and Netflix provided on 5 HD televisions. 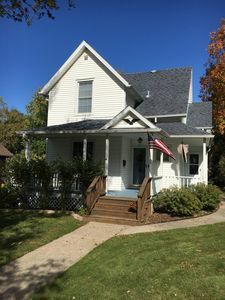 AC and heat, fully provided kitchen and pantry. 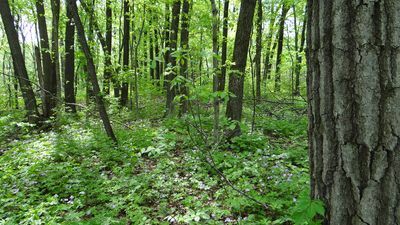 Hike, bike, and have a campfire every night! 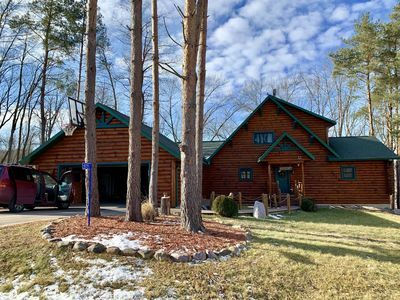 Ideally located between the Dells and dozens of other attractions, this very private and modern historic home provides hours of fun, peaceful relaxation and a get away of getaway, while still close to every amenity! 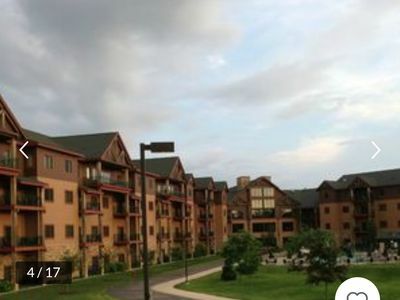 Canoes and kayaks provided, bring your entire extended family here. 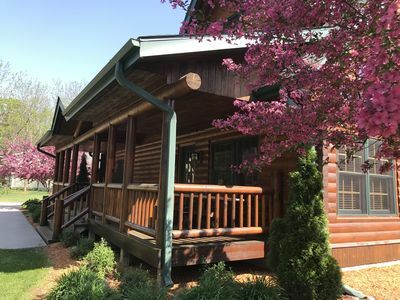 Enjoy your stay with picnic tables, a gas grill, sightseeing and animal watching. Deer, turkeys, cranes and ducks, are just a few of the wildlife that you will see. 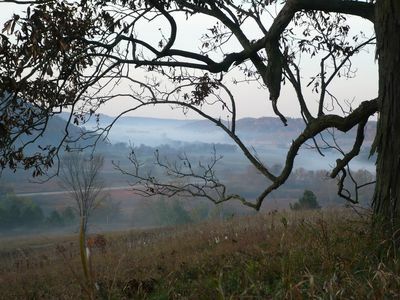 Hunt, fish, or see the countryside with planned day tours as part of the package. 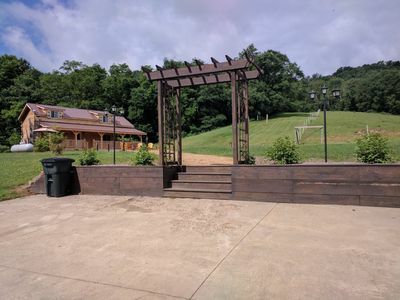 Watch giant screen movies outside at night right next to your campfire with surround sound. 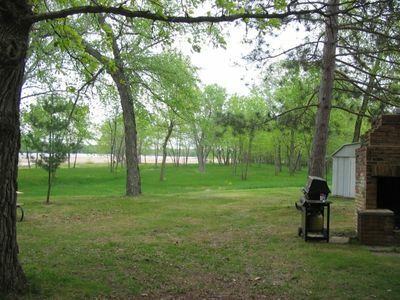 Tons of parking for your family and friends, and 36 acres lot of very private space to explore! 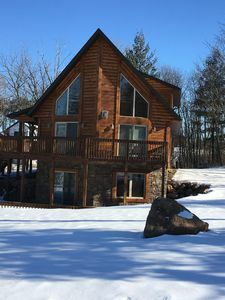 New Listing!Beautiful Log Cabin near Devil`s Lake. 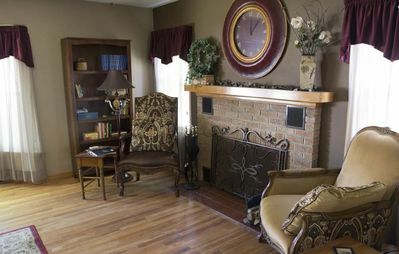 The Rookery: the Perfect other home when you're away from your own nest. 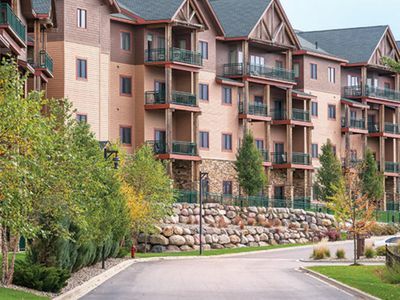 2 Bedroom Sleeps 8 at Glacier Canyon- Free Water Park Passes, Game Room, + More! 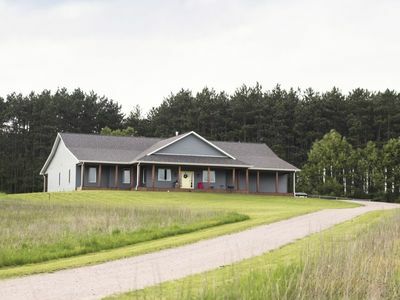 Big R’s Retreat is a beautiful cabin located in the rolling hills of Wisconsin. 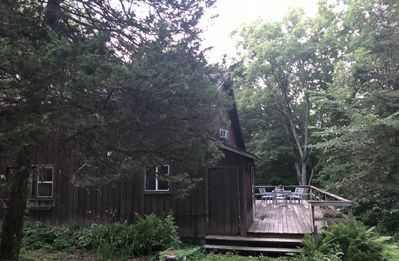 Private Baraboo Bluffs Cabin with Peacocks!! Summer weekends at Glacier Canyon- Free Water Park Passes, Game Room, + More! 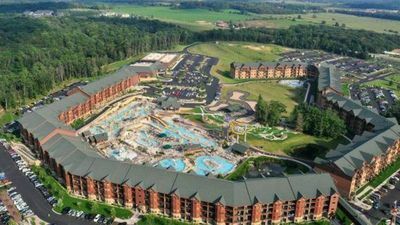 Experience Glacier Canyon Waterpark - Free passes with roomy suite sleeps 8!